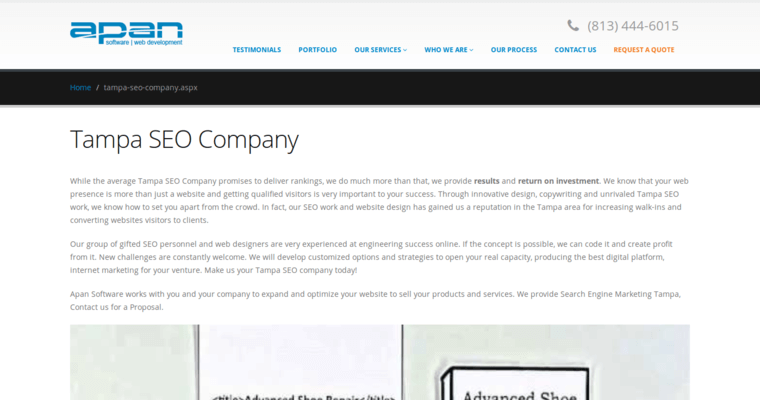 Apan Software is a web design firm based in Tampa, Florida. They make use of the latest web technologies and design principles to create websites that will help your business establish a lasting presence in the online world. 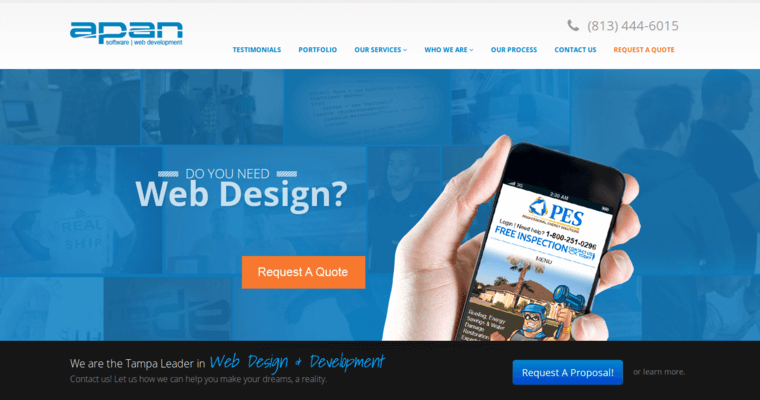 They employ a team of experts that have over 20 years of experience in the industry and can create stunning websites as well as fully functional web-based applications. 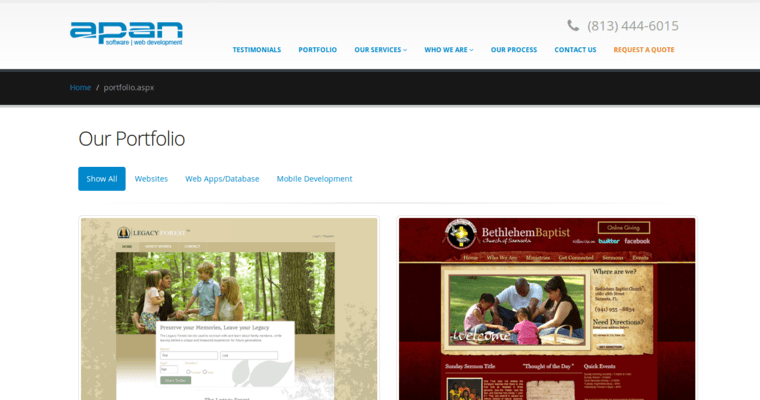 Their unique approach to web development means that every client gets a solution that matches their needs. Whether you just need a simple website that gives visitors a quick overview of what your business offers, or you need a full-featured e-commerce site, they have the know-how to complete your project. Their team of experts is also able to create websites that run on the world's most common content management systems, like WordPress and Joomla, in addition to sites that are optimized for mobile users.